Reindeer lichens are the primary source of food in winter for caribou (reindeer), hence the common name Reindeer Lichens. They are long lived, surviving 100 years or more, and they are slow growing. A clump crushed by a footprint may take decades to recover. Green Reindeer Lichen (Cladonia mitis) is very common in Alaska, throughout Canada, and across the northern United States except in the Pacific northwest. It is especially common in white spruce and black spruce forests. It forms dense mats with other reindeer lichens that can form a continuous carpet on the forest floor. A single clump often contains more than one species of reindeer lichen. 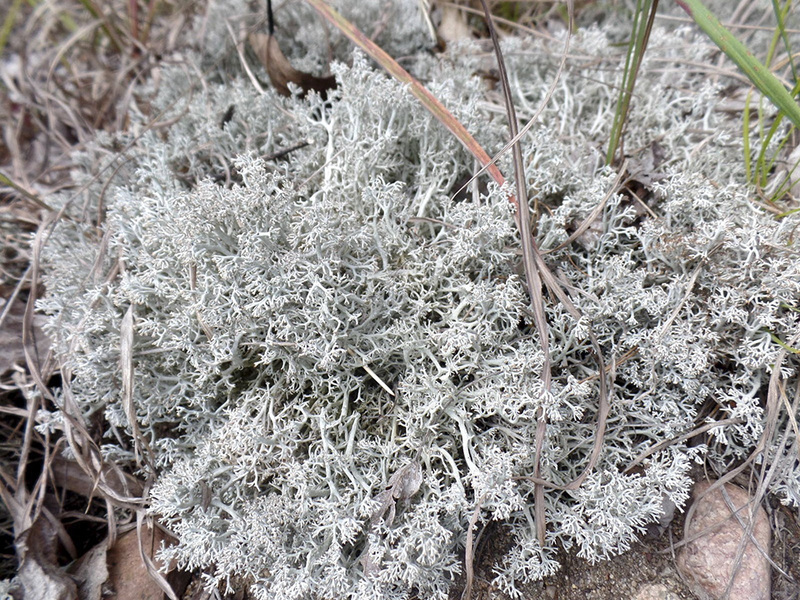 Green Reindeer Lichen is similar in appearance to Gray Reindeer Lichen (Cladonia rangiferina). The terminal branchlets of the former spread in all directions, while those of the latter are swept in one direction. This entry was posted in Fungi and tagged Cladonia mitis, Green Reindeer Lichen on September 1, 2018 by John Valo.